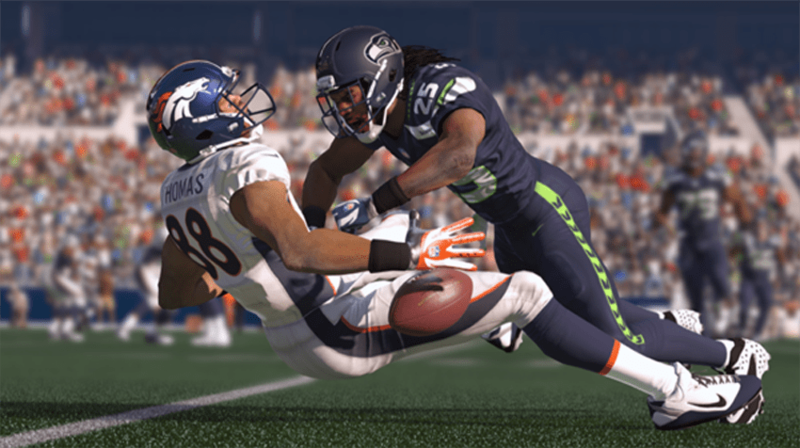 Review Fix chats with “Madden 15” Director of Presentation Brian Murray and Rex Dickson, the game’s Creative Director. 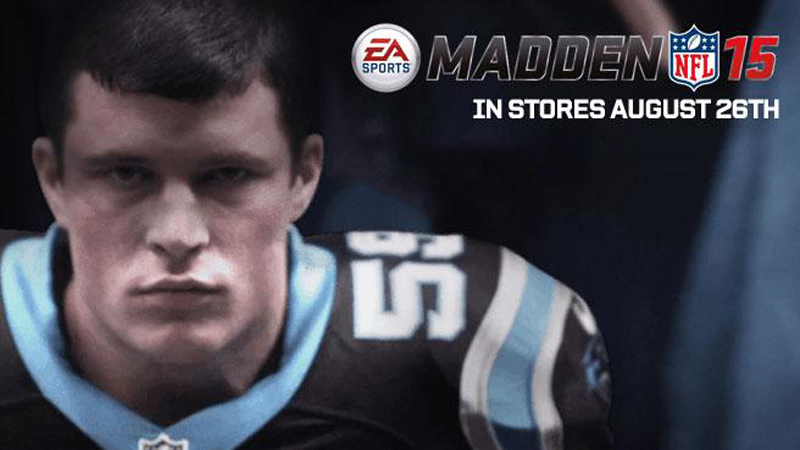 With all the presentation changes and gameplay additions on defense and in the game’s Fantasy Football-esque Ultimate Team mode, “Madden 15” looks to be a completely different animal from last year’s “Madden 25.” With three less months of development time, the EA Sports team worked extra hard and even faster than usual on this year’s version, but Dickson and Murray say it shouldn’t hurt the game at all. Review Fix: What did you think was the development team’s biggest hurdle to overcome this year? Brian Murray: On the presentation side, it had to be creating a brand-new halftime show from scratch. It was a great and difficult feature to attack this year. It took many our teams most of the cycle to make sure it was right. In the end, we are very excited about the stories we are able to tell in our halftime show. Rex Dickson: The biggest development hurdle this year was the short cycle due to the release of Madden NFL 25 on next-gen consoles last fall. Due to the annual release nature of the franchise, we have less than eight months of development time before we are back in our alpha phase. The November release of Madden NFL 25 shortened the dev time for Madden NFL 15 by about 3 months. We were able to offset this by bringing on some of the best developers from our former NCAA Football franchise. Additionally, some of our central teams who would normally be split between Madden and NCAA were now solely focused on Madden. The short cycle was a tough obstacle to overcome but at the end of the day I feel we will put out the best game in franchise history with Madden NFL 15.
Review Fix: How do you think this game will be remembered in a few years? Murray: I think it will be remembered very fondly in a few years! It’s truly the next-gen game the fans want. Graphics, gameplay, and presentation are a world ahead of what they’ve been in the past. 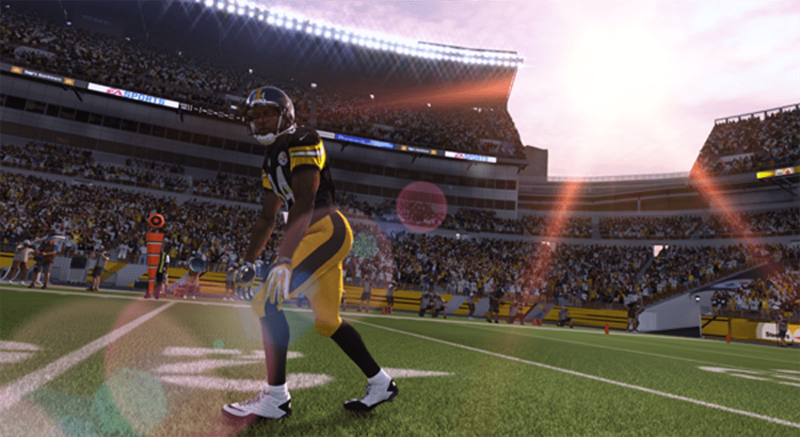 We think we have long-lasting game in Madden NFL 15. Rex Dickson: Great question. There are a few different ways to answer this. For some, they will judge the game based on the success of what we would normally refer to as our ‘lead features.’ In this regard, I believe the game will be remembered as the year that playing defense became fun. For our core Madden gamers, we are usually judged on an entirely different scale. They will perceive the quality of the game based on how many things or areas still need to be worked on. Long standing legacy issues like WR/DB interaction, locomotion, player gear and penalties. They want us to address all these issues and will largely judge the game based on whether this iteration of the game represents a big enough improvement year-over-year. In this regard I believe the game will be remembered as a key turning point for the franchise. Finally, for many it is all about balance and challenge. If the game is properly balanced and people can get a challenging, realistic game both online or vs. the AI, the game will be perceived as one of the best in franchise history. Fans told us that Madden NFL 25 had four soft zones, the outside run game was overpowered, and it was too hard to stop offenses. We took this feedback to heart and made some changes in our development philosophy to ensure that Madden NFL 15 is balanced across the board. I believe this will keep people engaged with the game for a much longer period of time and ultimately, this game will be remembered for being one of the most balanced we have ever built. Review Fix: With all the gameplay additions on defense, how will offense be improved? Rex Dickson: The biggest addition on offense this year is the pass accuracy feature. This system creates more separation between elite passers and the rest of the pack. It also allows hundreds of new catch animations to trigger due to the placement of the ball not always hitting receivers between the numbers. There are penalties to accuracy when a QB is under pressure and moving around in the pocket during the throw. Rex Dickson: Madden NFL 15 is a very different game from Madden NFL 25. We hear it from just about everyone who plays the game. It is more fun to play defense, the game is more balanced overall, our presentation has been completely overhauled and graphically the game looks amazing. Feedback from our community has been overwhelmingly positive throughout the year and this has been echoed in multiple consumer play test reports. If you have been away for a while, I invite you to come back this August and see just how far the game has come.